Book 1 uses unmeasured Long Tones to establish good tone production from the very beginning, and uses Quarter Notes to teach pulse and rhythm. By exercise 14 your students will be playing well-known melodies and enjoying the excitement of playing in the band! 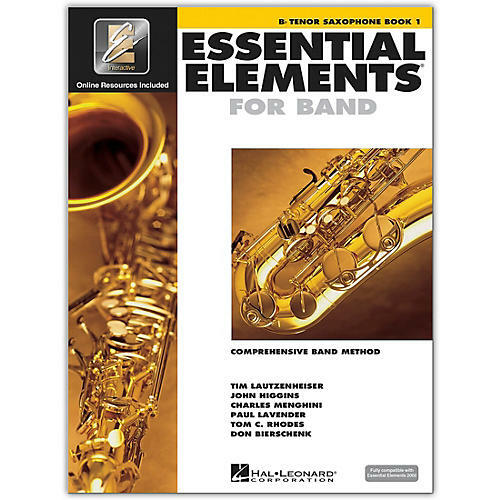 The unique considerations of Horns and Oboes are difficult to address using a classroom band method, so we've created special pages for these instruments with their own optional starting systems. New material is carefully paced, sequential and immediately reinforced. New notes are approached in the easiest ways, then gradually played within wider skips and different rhythms. Each new rhythm is introduced as a Rhythm Rap, then repeated on simple pitches, and finally placed in an appropriate melodic setting. Establish good practice habits, tone and technique with the two sets of Daily Warm-ups included in each book. The Rubank Scale and Arpeggio Studies cover the four major keys taught in Book 1, all adapted from Rubank's "best-of-the-best" to expand your students' technical skills. Research shows that students are more likely to succeed (and stay in band) if they perform a concert for parents within the first 8 weeks. That's why we've created an impressive early concert featuring 6 full band arrangements after they've learned just 7 notes! The concert is the first of the Performance Spotlight features, which include 12 full band arrangements and 2 solos with piano accompaniment. The additional Rhythm Studies pages include progressive measures of rhythms, which you can use to enhance rhythmic development at any stage. To make it fun and interesting, the Online Audio-ROM includes infectious percussion accompaniments at varied tempi.